Things Mobile connects your IoT or M2M devices automatically to the operator with the best signal and coverage. The first global mobile operator dedicated only to the Internet of Things. The flexibility and scalability of Things Mobile solutions allows you to create more sustainable living environments, streamline and make your services more efficient, optimize your energy consumption and create real sustainable Smart Cities. With Things Mobile, you can create a smarter world in which technology can significantly change people's lives, thanks to the real power of exchanging data between devices and mobile systems around the world. Things Mobile offers coverage in more than 165 countries around the world and supports all currently available networks: 2G, 3G, 4G LTE, CAT-1, CAT-M1 and soon NB-IoT. In particular, the 2G network is still an optimal solution if you are not ready yet to switch to the 4G LTE network. 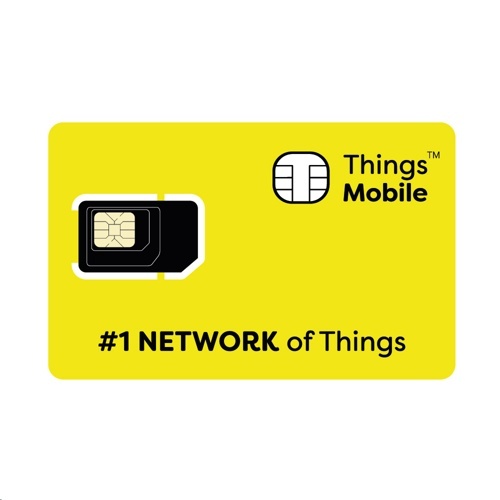 All you need to connect your IoT or M2M device is our unique SIM card, which works anywhere in the world and guarantees high levels of performance for every need. The Things Mobile SIM card is available in all sizes: mini (2FF), micro (3FF), nano (4FF), SIM-On-Chip (MFF2 embedded). Vehicle GPS Trackers (fleet management, tracking vehicles, security reasons).